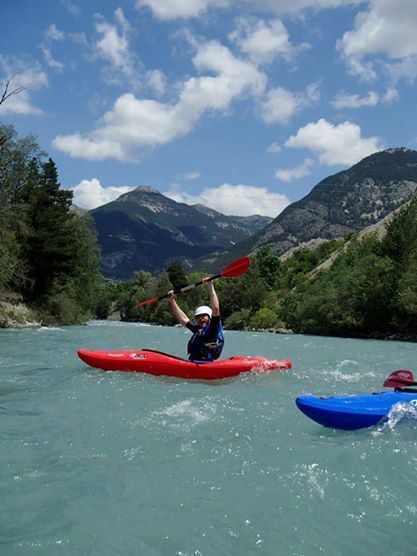 It took me a long time to leave my Aberystwyth Canoe Club friends in the Alps. A 4 day visit turned to a week long stay, which soon became two weeks. In the end most of them actually left before I did, my brother along with them due to a badly sprained ankle. So why did it take me so long to leave? 90% of it was that it was great to be back with some of my good friends from uni, including two that I lived with, enjoying the sun and the super cheap wine and even getting in a kayak once or twice. The other 10% of the reason that I didn’t want to go is that I had a feeling that there, with them, I was grounded, safe and sure of myself. I knew that once I was back on my bike I would be setting off alone into the world, and for a very long time. I was a little scared, even though this had been the plan from the start. Eventually though, I had to leave. I got on my bike, waved goodbye to some friends stranded with car trouble, and set off once more. 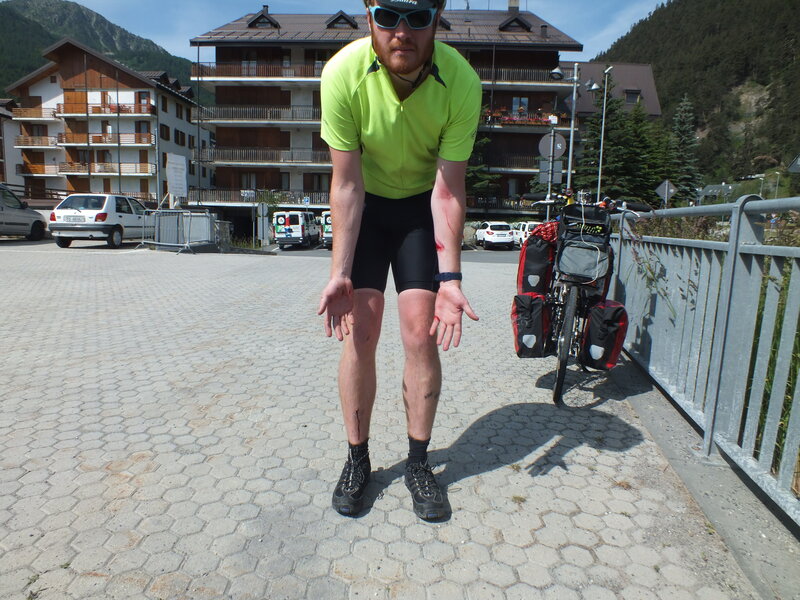 That first day back on the bike was all climbing, as I crossed the Alps from France to Italy. I found that the more I climbed the less anxious I became, and within an hour I was hot, sweaty and smiling from ear to ear. 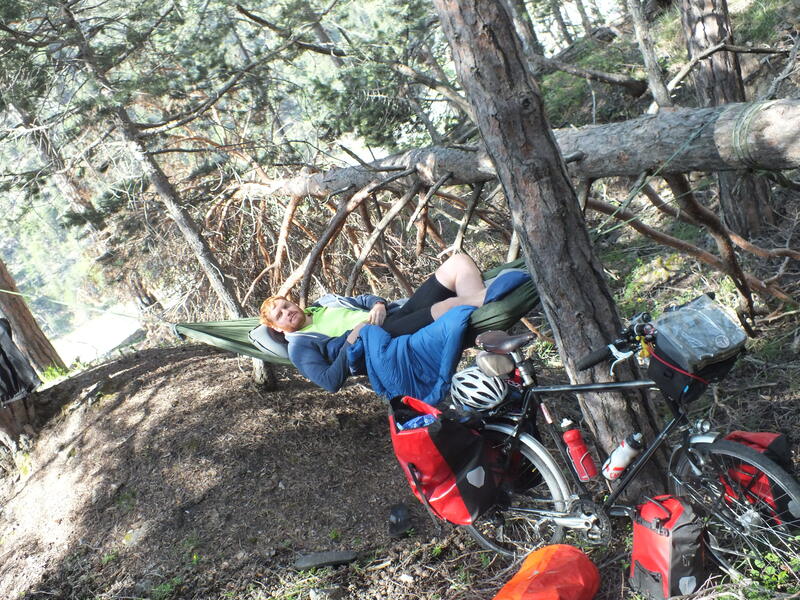 This is what my trip was always supposed to be, James Vs World, solo and unsupported. It’s very different from travelling with a companion. Sometimes it’s better, but sometimes it isn’t. This is taken from my diary on Monday 23rd June. Yesterday was my first full day in Italy, and it started with a bang. That bang was made by Dora and I crashing into a barrier and crashing to the floor. Now I’ve had a few small crashes before, but this one was different in two ways. Firstly, I was going much, much faster. It was on the downhill from the Alps and at one point I reached 70kph. When I crashed into the barrier I was going at about 50, as I slammed on the brakes shortly before impact. But that is certainly fast enough. The second difference is that I saw this one coming about ten seconds before I actually hit. As I came up to the corner I knew I was going too fast. I had to turn left but I knew that was never going to happen in time, Dora is too heavy. I decided (or more accurately my body decided, brain had very little to do with the decision), that hitting the tarmac would be better than hitting the barrier head on and most likely going over the handlebars and halfway down the mountain. I threw myself to my left, scraping myself along the rough ground as Dora went into the barrier at an angle. When this happened I was all alone, there weren’t even many cars going past and none stopped. I was very lucky I wasn’t more badly hurt, if I had hit the barrier head on it would have been a very different story, with a much messier ending. The crash and the roadside first aid, plus the hour it took me to really calm down and continue cycling (slower this time), made me realise that I need to be more careful as I am now completely responsible for my own safety. I’m also the only one to blame if I get lost, but that hasn’t happened. Much. So that’s the added pressure of going solo, but it’s not all bad and in many ways it’s better. I can start and stop whenever I want to, make my own decidons about what and when to eat, and I seem to cover much greater distances as all navigation decisions are made instantly by me. Also, I’ve come to realise that I’m not alone and without help after all. Thanks to the internet I have contact with friends, family and supporters at home. People are also much happier to approach a solo traveller. In every town and city different people, from ancient old men to surly twelve year olds are fascinated by me and Dora and love to chat, even if I have no idea what they’re saying. And I know Dora is a bike, not a person, but she’s been looking after me too. She makes funny noises when something needs to be oiled or tightened and she’s been kind by not breaking into pieces. If you’re getting worried about my sanity then don’t. I’m not crazy (Dora told me so). As for unsupported, I’ve already met lots of people who have helped me with the small bike troubles I’ve had. Friends from uni have taught me how to fix things and what to watch for. Some have even gone so far as buying me dinner and petrol to help me along, as well as giving donations to Hope for Children (You can donate here). Staff in cycling shops have fixed and agjusted things free of charge and given me lots of advice. 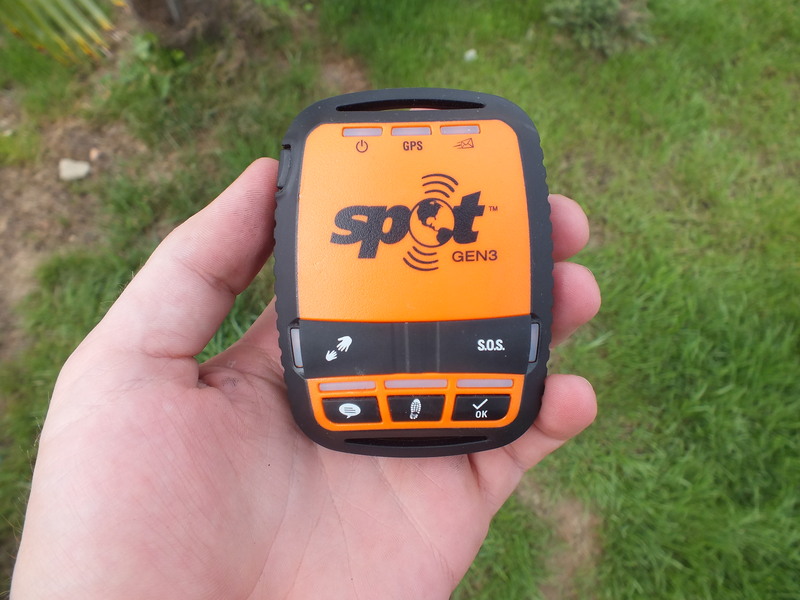 Finally, if worst comes to worst I also have a way to get help thanks to my uncle, who got me a SPOT GPS Tracker which can track my location, send messages to my family to tell them I’m okay, and, in the event of an emergency, call in the cavalry/helicopters. So, with all that, I guess I’m not so solo and unsupported after all. 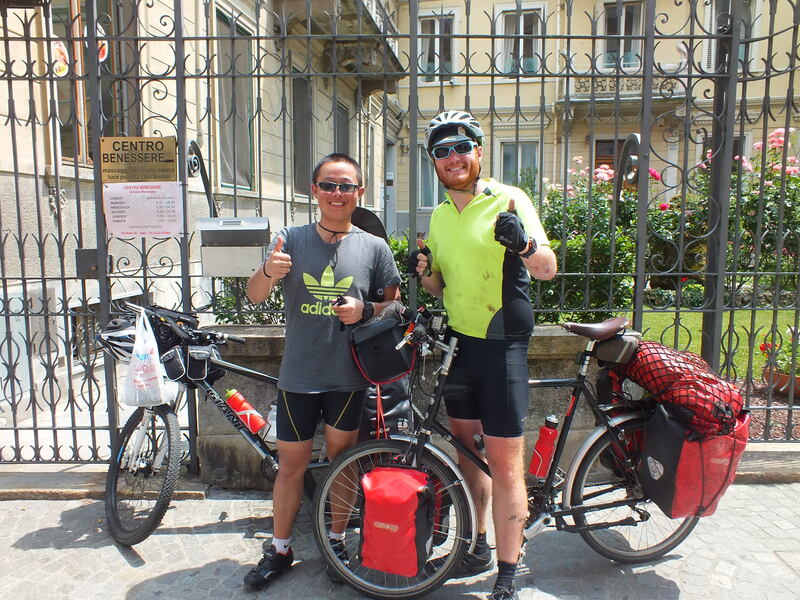 This entry was tagged cycling, Europe, hope for children, Round the World, RTW, Solo, travel. Bookmark the permalink. « Mountains. They Look Flatter on Paper. Sounds like your adventure is just beginning matey! I hope as you leave the familiarity of Europe things stay as exciting and the people stay as helpful and friendly! I’m sure they will equally if not more exciting as I go. I was sleeping in my hammock last night and was woken this morning by nearby gunfire. Not quite the exciting I hope to experience everyday but it certainly got me out of bed. Hope all is good with you, I’m currently hiding from the sun, more than five seconds of direct sunlight and my skin fries off, its so hot here. Ah yes all exciting with me just planned my skydive in memory of Mr Boniface. Not sure if you heard he passed away about 2 weeks ago his funeral was Thursday. Just qualified for my degree so 4 more years of studying with two children yay me … got a spare bike I might run away and join you when it gets tough. where are you now? I am very excited to see our photo here. I’m in Croatia now headed south to Turkey. How was your trip? Mountains not too difficult?